The historical underground wine cellars of Coppo are a UNESCO World Heritage site: a prestigious recognition that fills Coppo with pride. They are part of the network of Underground Cathedrals, a temple of wine dedicated to its history and the hard work of man. Built beginning in the late 18th century, initially intended as small cellars to conserve wine, they were expanded from 1800-1900 to what they are today. 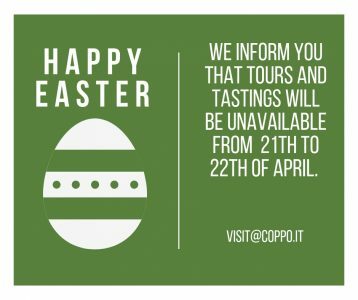 The historical wine cellars of Coppo extend under the hill of Canelli for a total of 5 thousand square meters (16400 ft) and a depth that reaches 40 meters (130 ft). 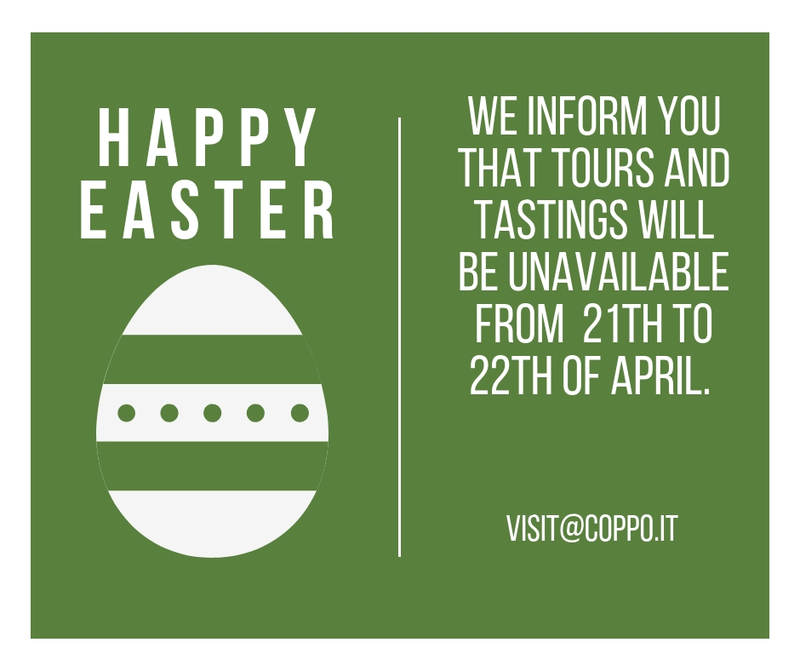 The history of Coppo winery is inextricably wound with the wine history of Piedmont. It is closely linked to the development of the city of Canelli, known as the capital of Italian sparkling wine and one of Italy’s most important viticultural centers today. Coppo’s history is one of tradition and courageous vision for the future, of sacrifice and innovation. It is a story of the unconditional love that Coppo has for their vines’ origins, for varieties that have always been cultivated in Piedmont, and for old family traditions. The origins of the winery date back to 1892. For over 120 years, the family has remained the sole owner. Since the very beginning, the Coppo family has managed estate vineyards and bottled their own wine under the name of Coppo, making it one of the oldest family-run wineries in all of Italy.